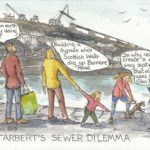 The fraught question of Brexit (sorry for the use of that sort of language, dear reader) has been exercising the thoughts of our contributor Ann Thomas. 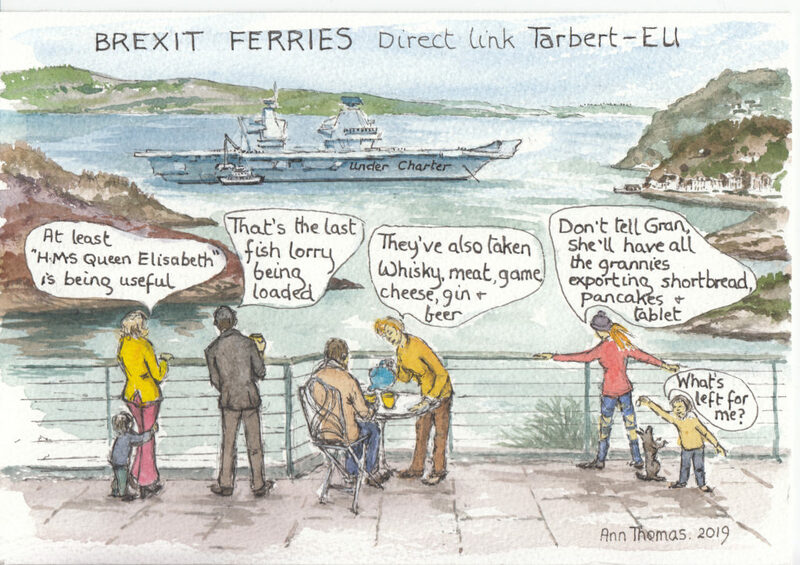 Tarbert artist Ann imagines a time in the not-too-distant future when we might have to resort to unusual means to export goods to the EU. Down in Westminster our politicians continue to squabble. The deadline of March 29 meanwhile looms large for our EU exit.